Unbreakable wall files with a hanger set can be attached directly to walls with screws or hung on partition hangers (sold separately). Use heavy-duty magnets (sold separately) to attach to metal surfaces. 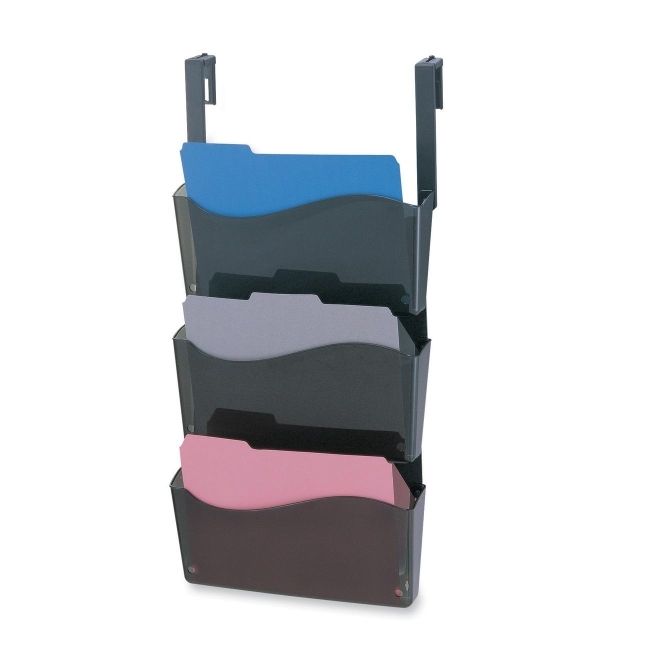 Each wall file has a wave design to display more of letter-size or A4-size file folders and documents.